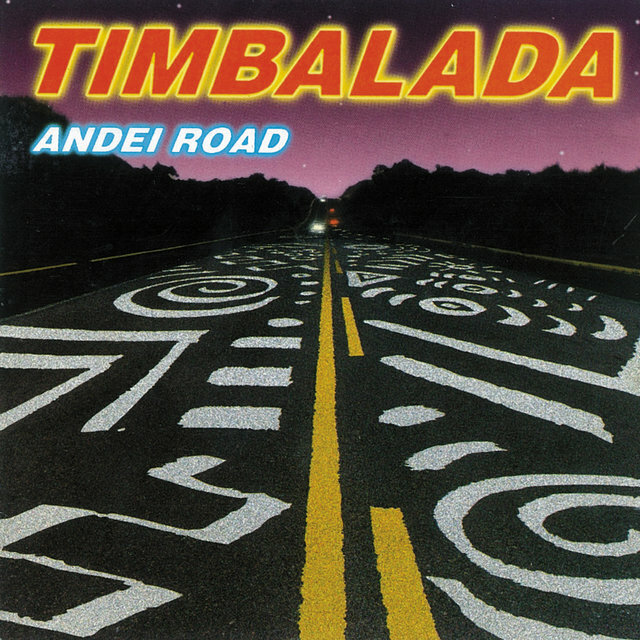 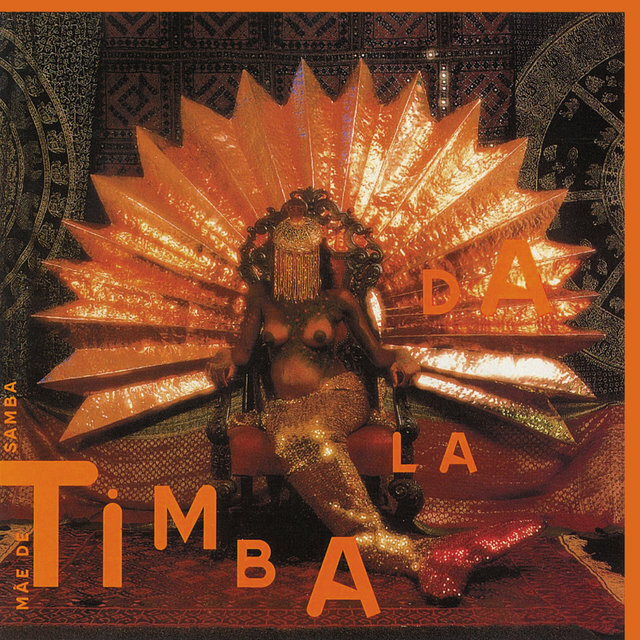 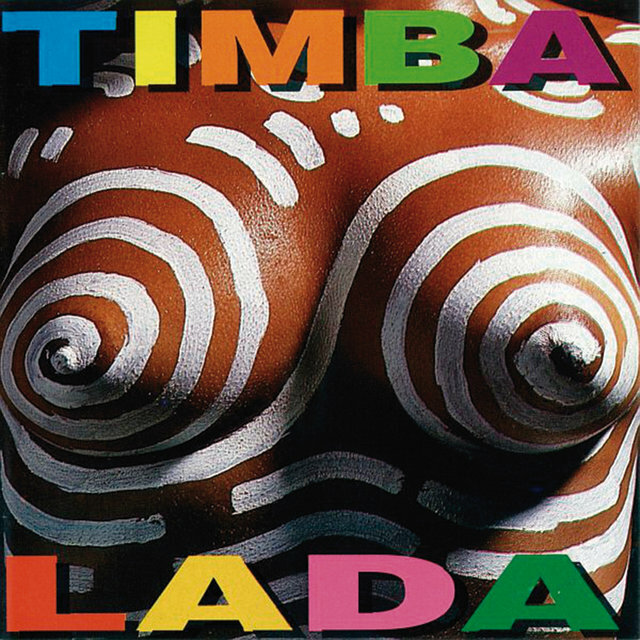 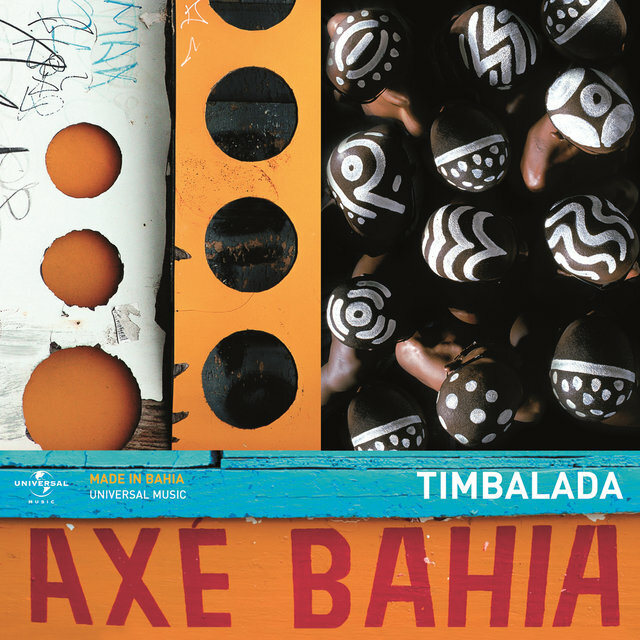 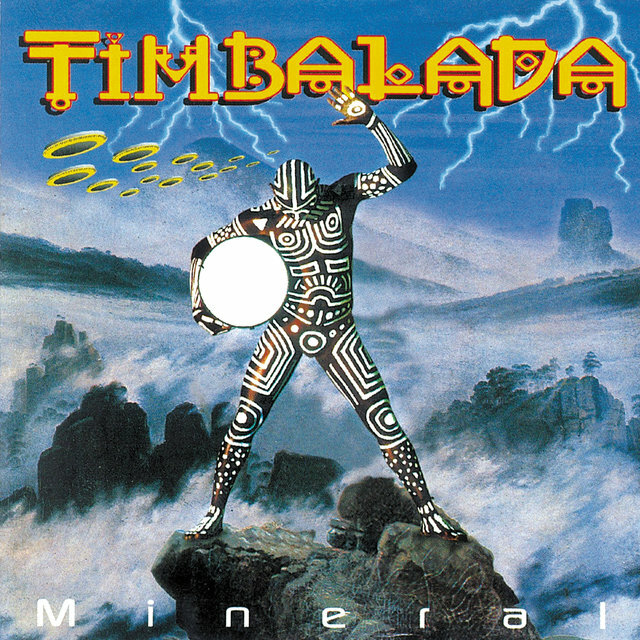 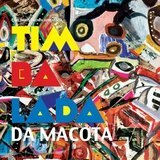 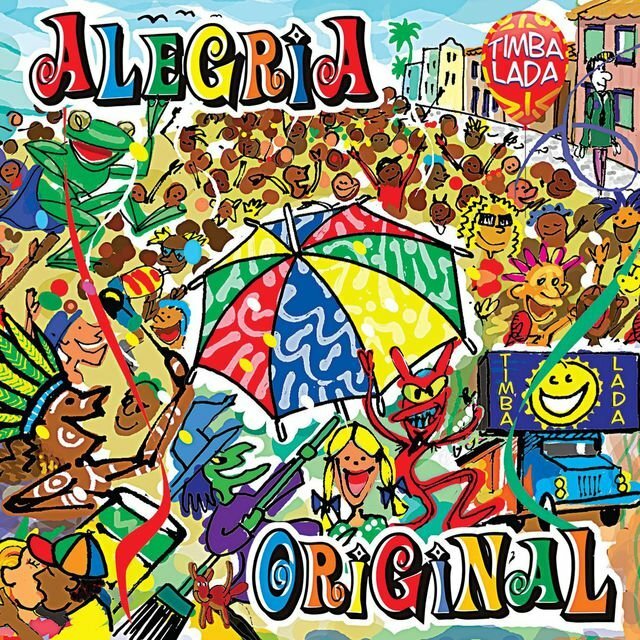 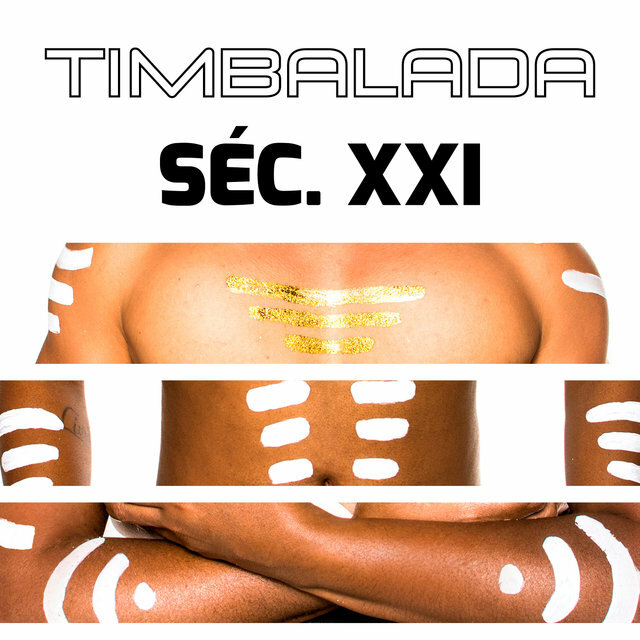 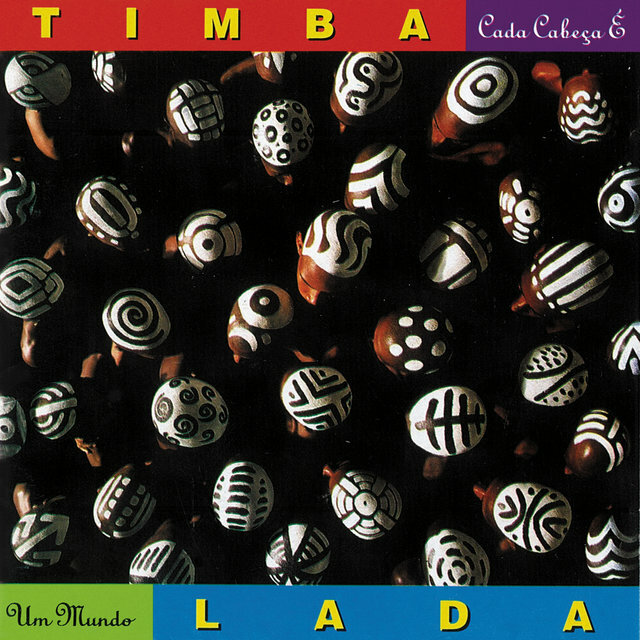 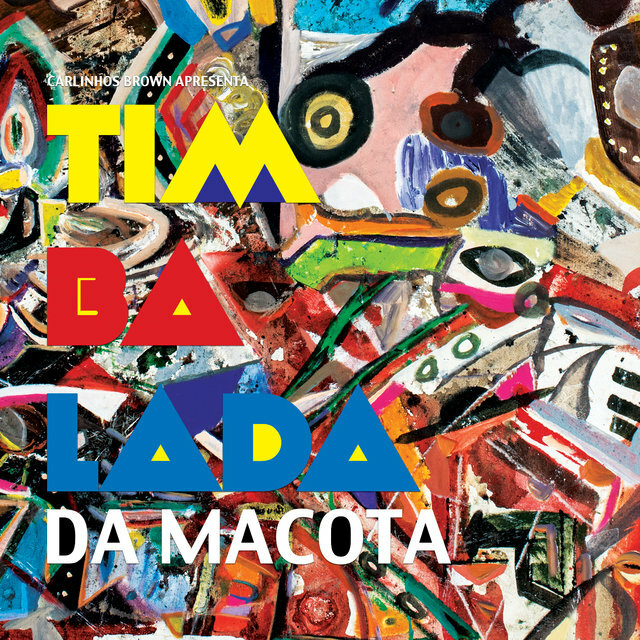 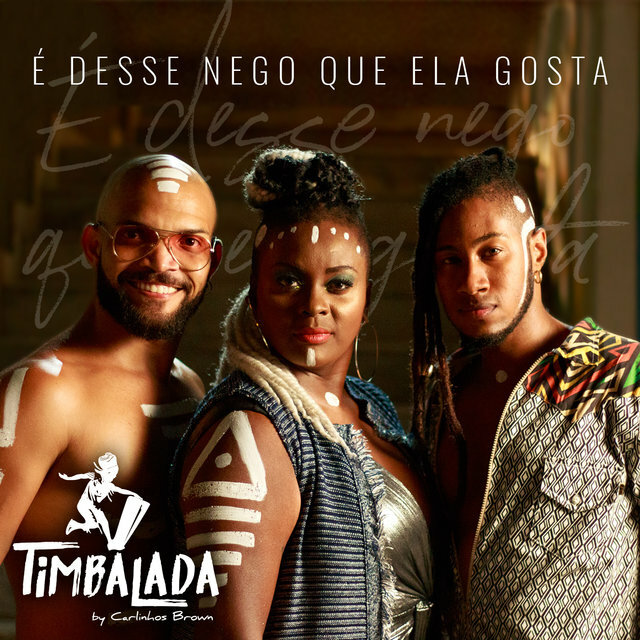 Formed by Carlinhos Brown in the Candeal borough of Salvador (Bahia), Timbalada represented his desire of using the timbau (a kind of drum indigenous of candomblé religions) in an Afro-pop-oriented way, melting rhythms of Bahia with those of Afro-American and Afro-Caribbean origin. 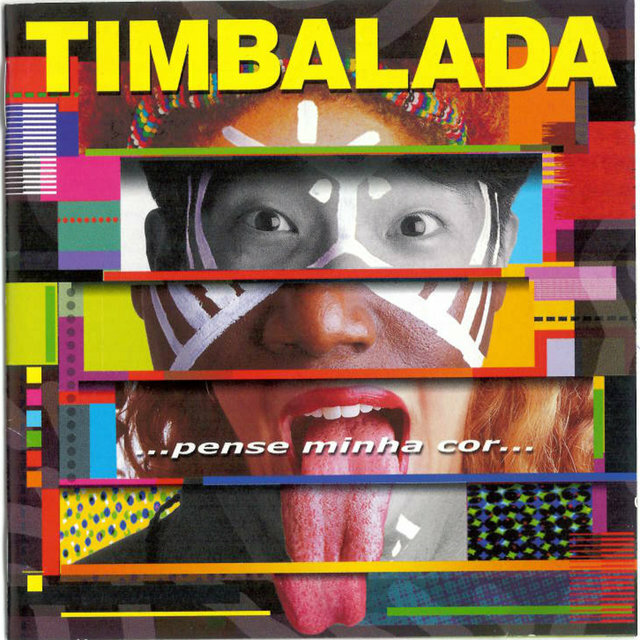 Also employing vocalists, the peculiar aesthetics of the group include body painting and a multitude of pop signs that play with the contrast between tribal and industrial. 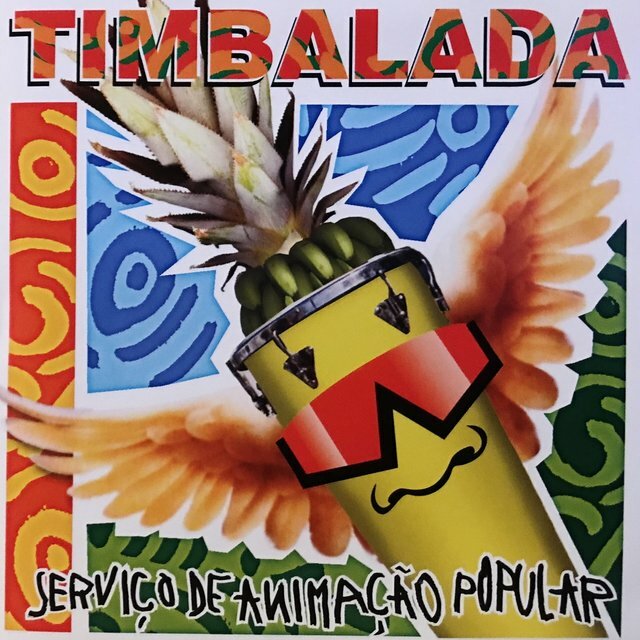 The Timbalada is both a band and a Carnaval bloco (group of merrymakers). 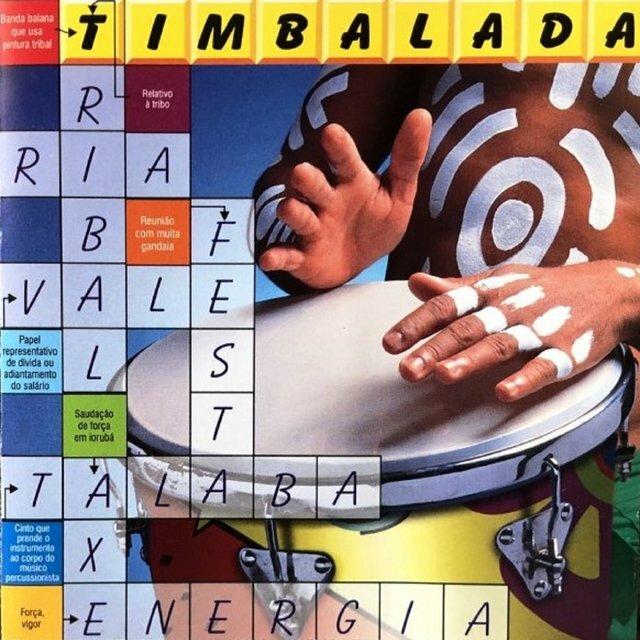 Attracting more and more people to the Candeal borough (a very poor one) every Sunday afternoon for their rehearsals, the Timbalada put it on Salvador's musical map. 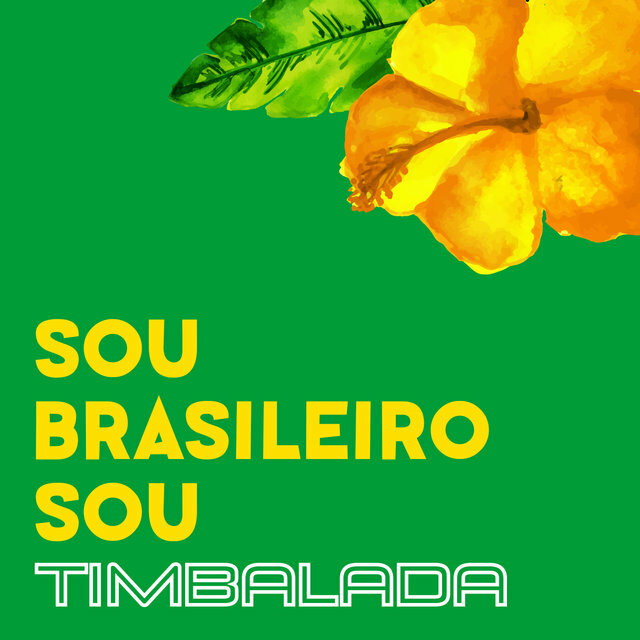 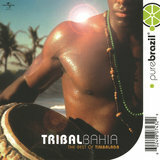 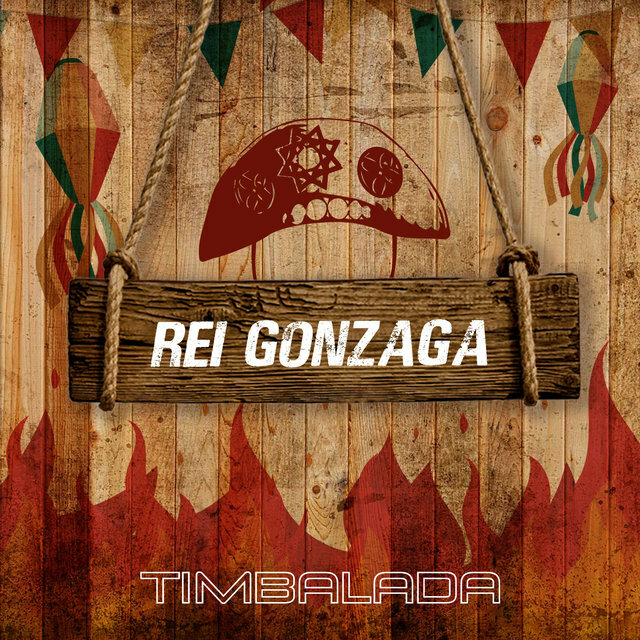 After the band's success, the timbau was absorbed into every samba-reggae bateria (drum section). 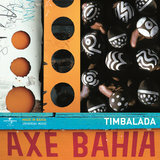 The group's formation demonstrated the intention of dissociating themselves from the traditional percussive blocos, aiming at a hybrid, pop outline, with three singers, sax, trumpet, trombone, keyboards, bass, guitar, drums, ten timbaus, five "marcações," one "repique," two timbales, and a kind of Afro drumset, the "percuteria."